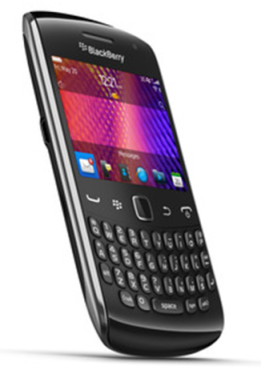 For fans of the BlackBerry Curve series, the 9360 model gets a decent grade for its purpose – a value based messaging cell phone. Its affordable at $50 on a 3 year contract or $350 without any contract or tab discount. Let’s review some of the key features of this phone as compared to its predecessor. Design – the phone looks sleak and is razor thin at 11mm and weights only 99grams. Overall design is solid and the phone looks nicely designed for the blackberry. The keys give a nice click when you push them, giving blackberry users the nice keyboard feel. The screen comes standard with a 480 x 360 resolution, nothing to write home here but its a curve but the screen does look better than the previous models. Operating system – The curve comes with OS 7 and includes a voice enabled search which would have been great amazing hadn’t the iPhone 4S not introduced Siri. Messaging – BlackBerry is big on messaging and the Curve doesn’t dissappoint here – email, BBM, SMS, Twitter and Facebook messages can all be integrated into one inbox or separated if you want. Connectivity – As I mentioned before this model has the most connectivity of any of the previous curve models, it includes 3G AND Wi-Fi, GPS, Bluetooth, HSDPA/HSUPA and NFC (near field communication) which today still has limited uses, but the fact that its all there makes this an impressive curve version. Browsing experience – while the browser has been upgraded and you can actually browse on this phone and enjoy the product, its takes way too long to render pages, waiting as long as 30 seconds for one page to load (albeit a heavy page) which you won’t expect on Wi-Fi. Battery– this Curve has a 1000mAh battery which is down from 1,150mAh and this may limit the battery life of the phone despite the better efficiency of OS 7. The curve is a very good messaging device for the budget conscious smartphone user. Blackberry is getting closer my ideal Blackberry but still has a ways to go. The Curve 9360 comes with almost all the typically features you would need for messaging, playing media and taking simple pictures. This model of the curve is the best I’ve seen in the non touch screen editions of the Curve. For the smart shopper check out the best cell phone deals on this device.